For every increase in productivity of a farm, there is a need for manure application. Manure is natural and organic; it has no residual effect on humans after consumption of the farm produce. Unlike the inorganic manure called fertilizer; there is now strong campaign against its use in agriculture. Organic farming is the best form of agriculture. • Compost manure: Manure gotten from animal beddings and waste. • Green manure: These are decay of plant materials. • They replenish the soil nutrient. • They improve the soil structure. • They conserve soil moisture. • They increase the activities of microbial activities. All these are essential for plant growth and increase in yield. Out of all farm animal waste, poultry manure is the best and most valuable manure; it provides the soil with all the essential elements and minerals require for plant growth. Poultry manure is very high in nitrogen, potassium and phosphorus; which are the important nutrient elements for crop growth. In addition to chicken manure N P K content, it contains calcium, magnesium, sulfur, and micronutrients. By the virtue of the fact that, poultry birds eat highly nutritious concentrate feed; their droppings are as rich as the feeds they eat. The nutrient composition of poultry manure varies with the type of bird, the feed ration, the proportion of litter to droppings, the manure handling system; broiler dropping is regarded as the best poultry manure. Owing to the high nutrient concentration of the feed broilers eat. The moisture content of poultry droppings also determines the level of nutrient availability; layers contains higher moisture content but broiler have lower moisture content. Broilers litters have total nutrient of 60:60:40 and available nutrient of 40:40:30 in the NPK ratio. This is an ideal poultry manure litter content. When broiler manure is spread on the surface of the soil and not incorporated into the soil, significant Nitrogen of about 15-50% will be lost within 7 days after spreading when the weather is hot and dry. But if layers manure is spread as a liquid or slurry, as much as 75% of the Nitrogen could be lost within the same time and environmental conditions. 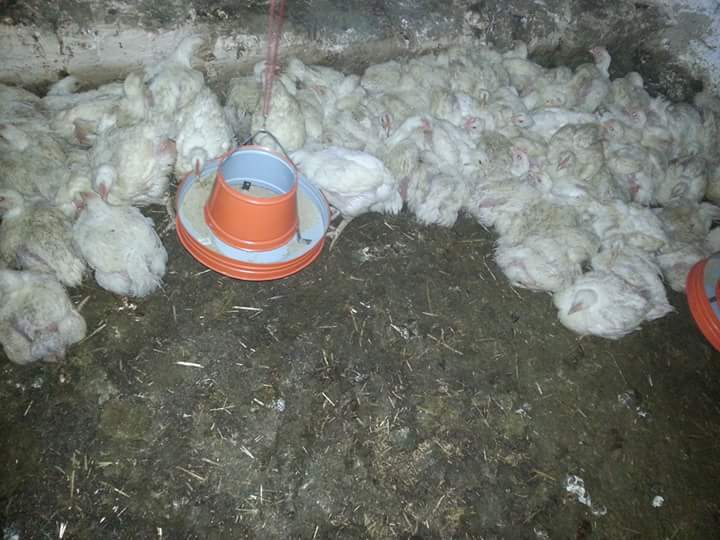 Using fresh poultry litter is more valuable; it contains 20% moisture content with excellent proportion of nutrients. Fresh poultry litters should be incorporated into the soil like two weeks before planting for timely mineralization or decomposition and release of nutrients into the soil. However, storing litters depletes the nutrients value, especially the Nitrogen value. An ashy-gray appearance indicates a loss of nutrient value. Care must be taken when using manure to avoid over fertilization of the soil; this can lead to contamination of the underground water through leaching of nutrients like potassium and phosphorus.